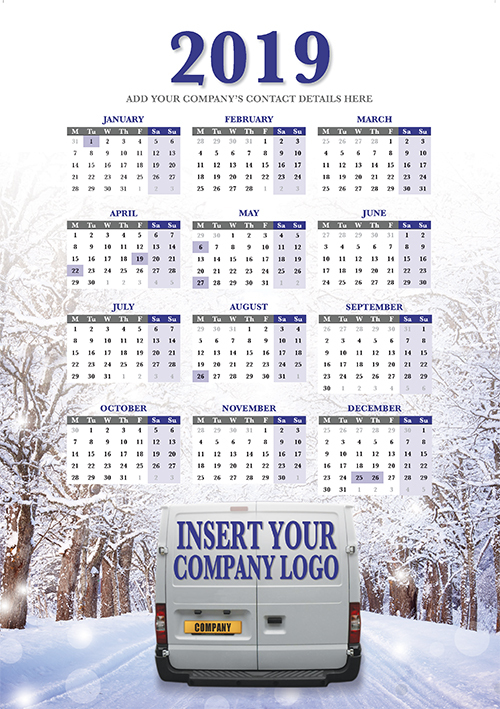 Choose a personalised company calendar to give away as a promotional item to your clients this year. These A4 sized calendars can be personalised with your company name, logo and details to keep your business in front of your customers throughout 2019. Request a FREE SAMPLE to see the quality and finish up close. Call 01933 425848 or order samples online. One of our customer service advisors will email you a proof for your approval within 24 hours of us receiving your order. We will not print your calendars until we receive written or verbal confirmation from you.